This longer fit, three-season sleeping bag is designed for the tall man and built for overnight and multi-day hiking and trekking trips. 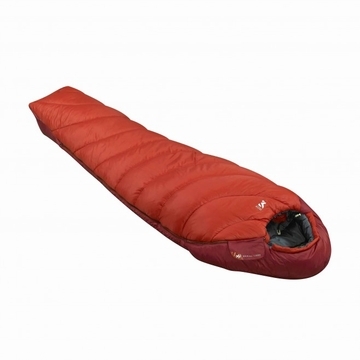 The Baikal 1500 Long features a SuperMix fiber synthetic insulation that copes really well with wet conditions � let it be condensation, moisture coming from the body, form the ground or from the exterior, when rain pours during the night or camping by a river, lake or coast. Synthetic insulation ensures a good reaction to all these types of moisture and is easy to care for.